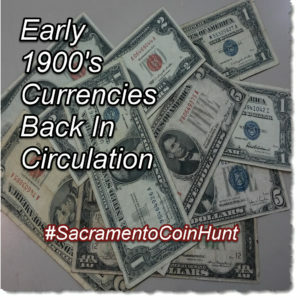 BEING PUT BACK INTO SACRAMENTO’S CIRCULATION! 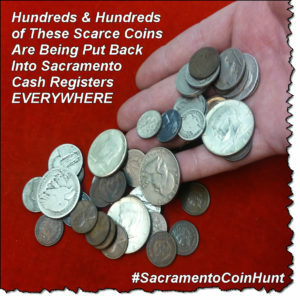 All denominations and values of these collectibles will be placed back into circulation throughout Sacramento (1 million nationwide) over a two week period in April! 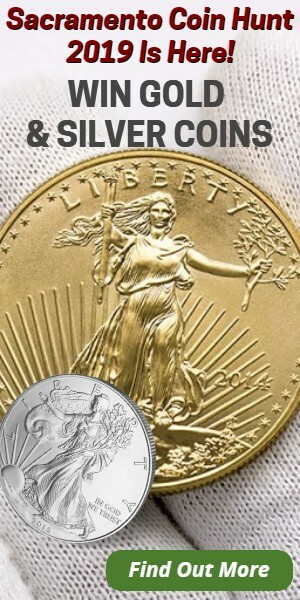 Beginning April 15th, members of the Sacramento Valley Coin Club will be spending these collectible dollars and coins at our local retailers, coffee shops, grocery stores, restaurants and gas stations; making them more available for pockets and purses everywhere, inspiring a new generation of coin enthusiasts and collectors. Coins and notes of all types, values and varieties being released include: Buffalo nickels, silver half dollars, Standing Liberty quarters, Mercury dimes, Wheat cents, Indian Head cents, silver certificates, five-dollar and 10-dollar blue seal and red seal notes – and so much more. As coins and currencies are dropped, LIVE/REAL-TIME notifications of when and where they were dropped will be sent via this website and posted on our Facebook page. Finders of these specially marked coins or any of the collectible pieces being dropped, can have their new found treasures redeem and/or assess at our upcoming Spring Coin Show. Located at the Four Points Inn by Sheraton 4900 Duckhorn Drive, Sacramento, CA 95834 either Friday April 26th 10AM to 6PM or on Saturday April 27th 10AM to 4PM. We will have a few of our 30 plus coin dealers dedicated to redeeming, examining, appraising and/or making an offer to purchase your findings right there on the spot! (look for the neon green flags). What happens if you can’t make it to the show? Click here for official rules & details. Already have rare coins or a collection? Bring them to our show, we’ll have an eclectic line up of knowledgeable dealers there who’d be happy to help assess those for you, and if you’re interested in selling, there’ll be many buyers there too. 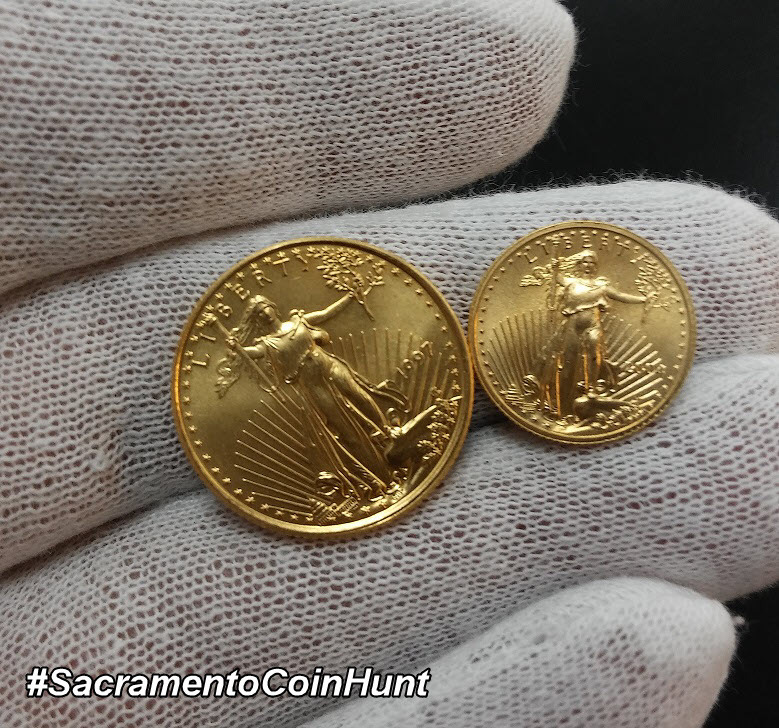 Admission is only $3 at the door or mention “Sacramento Coin Hunt” to receive $1 off.